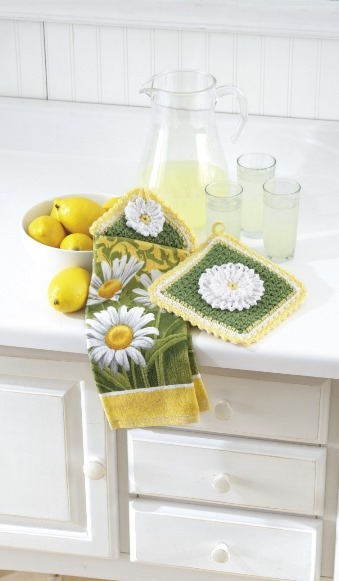 Freshen your kitchen with crocheted flowers! These quick blooms will add beauty to the heart of your home. 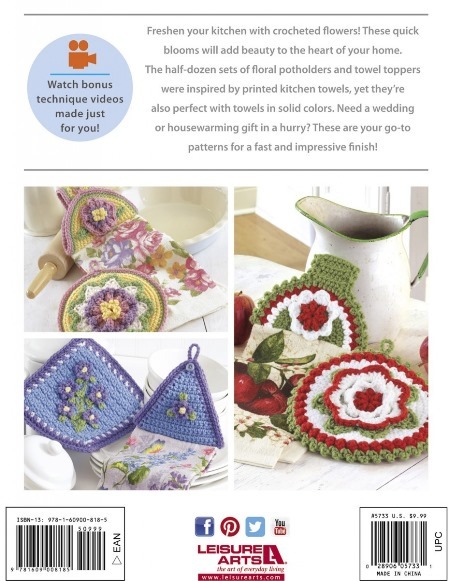 The half-dozen sets of floral potholders and towel toppers by Glenda Winkleman were inspired by printed kitchen towels, yet they're also perfect with towels in solid colors. Need a wedding or housewarming gift in a hurry? These are your go-to patterns for a fast and impressive finish! 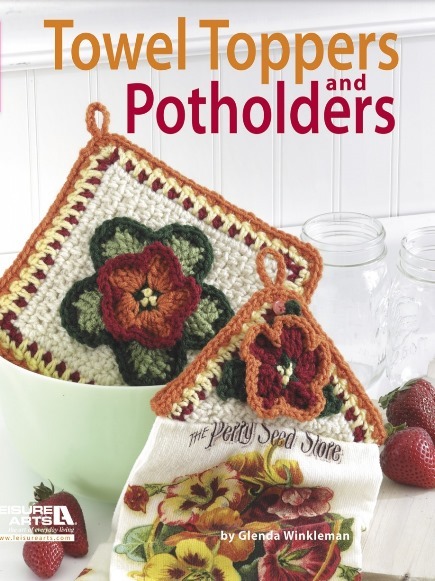 The six sets are all for Easy skill level, made using medium weight yarn: Apple Blossom Set, Cabbage Rose Set, Daisy Set, Sunflower Set, Violets Set, and Nasturtium Set.